Jose R. Rafols, OTD, MHSA, OTR/L, is a licensed occupational therapist with more than 28 years of experience in clinical orthopedics and 22 years of experience in upper extremity rehabilitation and hand-injuries. Dr. Rafols has also worked in diabetic foot and wound care, neurological injuries, traumatic brain injury (TBI), burns, geriatrics, and adult rehabilitation. 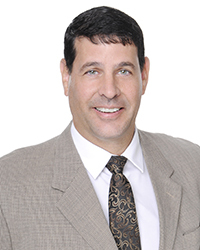 He is president and owner of Therapeutic Home-Bound Services Corporation (THS-Corp), which provides tailored and personalized private occupational therapy and rehabilitation services to the South Florida area. Dr. Rafols retired at the rank of Major in 2012 in the United States Army Specialty Corps and served with distinction for more than 28 years of combined active and reserve duty in the U.S. Navy, the U.S. Marine Corps, and the U.S. Army Active Component (AC) and Reserve Component (RC). He served on active duty and as the officer in charge at Darnell Army Medical Center, Ft. Hood, TX, and Eisenhower Army Medical Center in Ft. Gordon, Georgia, as well as, numerous smaller fixed outpatient facilities. Dr. Rafols completed a 12-month combat deployment with the 101st Airborne Division’s 3rd & 4th Brigade Combat Teams (BCTs) to Paktika, Paktia, and Khost Providence located in Eastern Afghanistan. There he worked to set up and provide clinical rehabilitation for soldiers with post-blast injuries, ranging from mild- traumatic brain injury (TBI) to poly-trauma. Dr. Rafols is a seasoned and experienced instructor, having presented masters level instruction in the Occupational Therapy Program at Florida International University in Miami and the Medical College of Georgia in Augusta, GA, South University, West Palm Beach, FL and is currently the Program Director of the OT Programs at the University of St. Augustine Florida-Miami Campus. Dr. Rafols has formally presented at numerous international, national, regional and local conferences. In addition, he is a member of the American Occupational Therapy Association, Florida Occupational Therapy Association, Association of Caribbean Occupational Therapists, Reserve Officers Association, and American Military Surgeons of the United States (AMSUS); and writes for publications such as NEWS-Line for Occupational Therapists and COTAs and OT Practice. Dr. Rafols’ interests include growing tropical fruit in a small farm located in the Redlands of southwest Miami-Dade County and partnering with NGOs to empower underserved countries with clinical education and hands-on intervention.